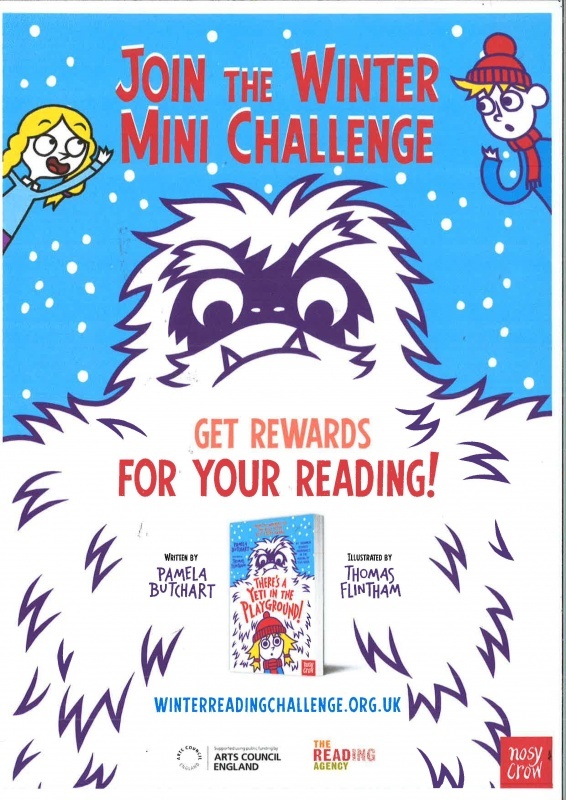 The Winter Reading Challenge launches in all Newham Libraries this Saturday 1st December. The aim of the challenge, similarly to the Summer Reading Challenge is for children to read x3 books of their choice from 1st December until 11th January, collect stickers in a special reading log Christmas card and to review the books they have read online (although this bit is not essential). Just like the summer challenge, children can start and finish at any Newham library. The children will collect their certificate at the library either from the library staff or by going online and printing it off themselves. We will also be awarding a trophy to the school with the highest number of finishers.